Help Wanted: Chakra Center is Looking for YOU! Think you’ve got what it takes to join the Chakra Center team? You many have noticed our regular posts slowing down a bit at Chakra Center. This is due to the MANY exciting changes taking place (not all of which we can announce yet), but we are in need of new talent to join us for all of our upcoming adventures! We recently collected new staff writers in the area of travel, health & exercise, and all things metaphysical (announcement coming shortly), but we’re still looking for a few new members to help out with very specific tasks here at Chakra Center. Do you love staying on top of all the latest & greatest news from the raw food/health/spiritual world? Do you obsessively follow YouTube channels, blogs, and other media related to these topics? We need someone to compile a weekly recap of all related health/wellness news for our Saturday Post. The Saturday Post staffer will compile a summary of each news item and link to the source, as well as embed photos and videos when applicable. Ideally, you would gather links and news item throughout the week, then publish your post on Saturday morning each week. Are you a foodie? 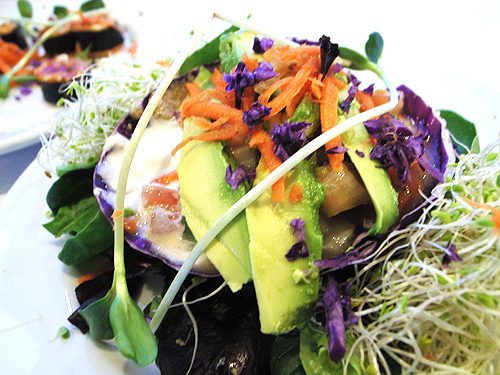 Do you know how to create amazing, vegan and/or raw food creations that both satisfy and beautify? We are in need of a weekly recipe blogger. You will provide one amazing healthy recipe a week (this can be done through video or writing), and share your talent for eating well with the world! Are you an avid reader of all things metaphysical/health/spirituality related? We need someone who can be the resource for books in this genre. You will post a new review each week, so this position requires someone who is a fast reader, or can at least synthesize solid feedback for a book they may only be half-way through. Book reviews will be posted every Monday morning. 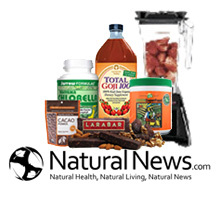 Are you always trying the latest health products, exercise equipment, and health supplements? If so, we want your feedback! Our product reviewer will post weekly reviews and provide resources for our online readers. Up to this point, most web development has been done by me (Amanda), and this is definitely not my strength. We need someone to help give Chakra Center a facelift, some better organization, and regular maintenance. If you are familiar with WordPress, HTML, and basic web development, we need you! Besides the requirements listed above, all candidates should be somewhat familiar with WordPress.com, general blogging style, and have a solid grasp of the English language. Chakra Center staff members are self-motivated. We need people who have the ability to take the job seriously, meet deadlines, and commit to at least three months. No. Sorry. This job is volunteer only. Chakra Center is not currently monetized in anyway, so none of us get paid. We are, however, opening the site up to online classes, workshops, and other services which will be offered on a donation basis. As we grow and advertise, every contributor will get a monthly donation. Interested in an internship? Ask us how you can earn college credit for your position. And it looks great on a resume! Contact us for more details. Join our team of kindred spirits, and help us bring more love, health, and bliss to the world. If you want to join the Chakra Center team, fill-out the form below and we’ll get back to you as soon as we can. ← Co-Creating, Synchronistic Connections, ET’s, Starseeds, Writing Classes, Etc.